Multirace is proud to present the 1st Annual Treasure Island Half Distance & International Triathlon. All events offer Duathlons for the swim challenged (Half distance only for duathlon). And Aquabike if you can’t run or simply don’t want to! (Half distance for the Aquabike). Half Distance Athletes will participate in a 1.2 mile point to point ocean swim course. International athletes will be required to swim .6 miles. The direction of the swim (north or south) will be determined by race officials, the morning of the event (based on the currents). Athletes will swim with the current and exit the water just outside of Jensen Beach Park. After exiting the water, a short run will take athletes directly into transition. A fairly flat and fast bike course. Once exiting Jensen Beach Park, cyclists will make a right and head north on A1A for approximately 13 miles. After entering St. Lucie County, the U-turn is located just before Bear Point Cove. The cyclists will then head back south into Martin County. Cyclists will make a right on NE Causeway Blvd, before heading west over the Jensen Beach Causeway Bridge. Cyclists will enjoy spectacular views of Jensen Beach and the Intracoastal Waterway. Once at the bottom of the bridge, cyclists will make right turn off the causeway, head underneath the bridge, and come back up in the east bound lanes, heading back to Jensen Beach Park. International athletes will be required to complete one lap (28 mile bike course) and Half Iron athletes will be required to complete two laps (56 miles) on the bike course. An out and back run course. 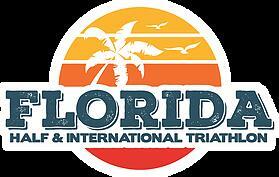 After exiting transition, athletes will head south on A1A on the running path and enter Seminole Shores. Athletes will pass the Hutchinson Island Marriott Beach Resort & Marina as they head towards the U-turn located at 6.55 mile mark. After a quick U-turn at the boat ramps (closed for the event), athletes will head back north on A1A in the coned off bike lane until they reach Jensen Beach Park, where the finish line is located.